How Lack of Sleep Can Affect Your Health-What Does Sleep Deprivation Do? The problem of not getting enough sleep is one that is becoming more and more of a problem as time travels on. 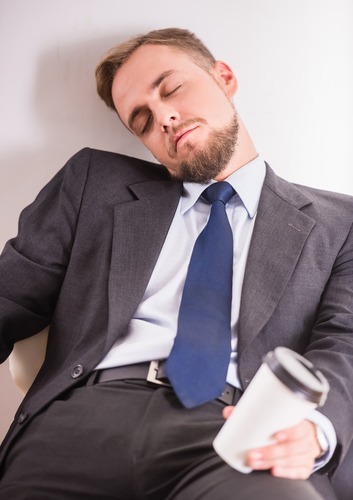 This is because of poor lifestyle choices that many of us fall victim to, such as work demands, social demands, and just a general disregard for sleep in general. Not only is that lack of sleep keeping you groggy all day, but it also brings along plenty of other negatives along with it. 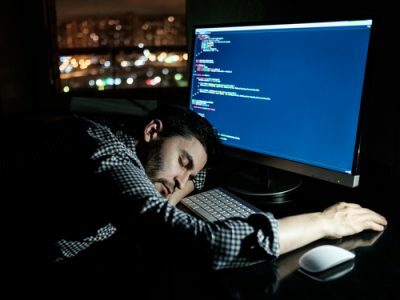 Not getting enough sleep is an extremely large problem affecting millions of Americans, many of whom reported that they regularly lack sleep complicating things further. Most major health organizations such as the CDC recommend that your average adult get at least 7-8 hours of rest a night, which most of us simply are not accomplishing. In addition to that many people suffer from periodic sleep disorders as well, and it is estimated that at least 25% of the adult population suffers from some type of sleep disorder. With all of this being said, if you are someone who gets less than the recommended amount of sleep each night you may be at a higher risk for developing certain health issues. The most immediate and obvious ones involve a reduction in cognitive ability in conditions such as brain fog, irritability and moodiness. Luckily, there are plenty of things you can do to help remedy the situation. Here are some of the best things you can do to help yourself get more sleep. How Can I Resolve Sleep Deprivation? Believe it or not, one of the biggest contributors to our lack of sleep is technology. This is not about those who are addicted to their device and have an issue putting it down however, as the light they emit themselves is the problem. Many of these devices such as our cell phones, laptops and even televisions emit a blue wavelength of light, one which is used as a signal by the brain to induce the body into being alert and awake. These types of lights can also cause headaches as well, making the problem that much worse. To avoid this, make sure that your devices are turned off and put away at least 2 hours prior to you going to sleep. This gives your body enough time to adjust and properly fall asleep. Another huge issue in regards to our sleep patterns is something referred to as our internal clock. Humans have evolved to be diurnal, meaning that they operate best during the day, and sleep at night. You want to be following this accordingly, ideally getting up early in the morning when the sun rises, and going to bed shortly after dark to help reset this clock. Exposure to light during the day can really help this process along as your body will become more acclimated to being awake during the normal daylight hours, and in turn will “want to” go to sleep at regular hours during the night. Exercising more can also help to reset this internal clock, however when you exercise is a key component to this strategy. If you are someone who likes to exercise during the evening prior to going to bed, and are someone who has sleep issues, you may want to switch up your routine. Instead, try working out in the morning which is going to help better regulate that internal clock, and you get the added benefit of an energy boost early on in your day. Make sure to exercise on a regular basis as well, to help keep yourself on pace and to get better sleep. last and certainly not least, you should look to modify your diet to help you get regular sleep also. Whole foods which are nutrient dense are going to be your best friends here, such as flaxseeds, chia seeds, oatmeal, quinoa, veggies, chicken and beef. These foods are going to fill you up while providing you with all the necessary nutrients to keep you satiated, and not coming back for more. Late night snacking is another issue that can really affect our sleeping habits, so try to fill yourself up at least 2hours before you plan on calling it a night. Another seemingly obvious tip to follow which many people don’t, is to not drink caffeinated drinks late at night either, which will help as well.